The New Year is off to a great start for the MulteFire Alliance. Along with MulteFire™ technology advances, recent webinars, new white papers and upcoming events – including Mobile World Congress 2018 – the Alliance continues to reach key milestones including our recent achievement of exceeding more than 40 members since our public launch two years ago. 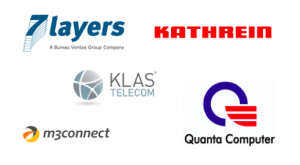 On behalf of the Alliance, I’d like to welcome our newest members – 7layers, KATHREIN-Werke KG, Klas Telecom, m3connect Gmbh, and Quanta Computer. These member companies bring additional expertise to our organization, including test & certification services, antenna design, networking, hardware, and more. As president of the Alliance, I’m charged with conducting communication and outreach to foster the organization. Throughout 2017 I saw my frequent flyer miles increase as I met with companies around the globe that have an interest in MulteFire. I welcome these opportunities as new members bring a fresh perspective along with new technology applications and new marketplace opportunities that can positively impact the industry and further our goal of broadening the LTE ecosystem to new players. The journey of the Alliance so far has been exciting and as we achieve this new membership milestone I am looking forward to what we will be able to accomplish throughout this coming year as we see first announcements of MulteFire products and trial deployments. I’ll be at Mobile World Congress 2018 this year and look forward to meeting with all companies that are interested in learning more about Alliance membership or the MulteFire ecosystem. I encourage you to schedule a meeting, join us at our MulteFire Open Day at MWC, or visit us in Hall 7, Stand 7F81 to see MulteFire technology demonstrations. I look forward to seeing you in Barcelona!